For almost as long as I can remember being in practice I have been recommending these amazing CD’s from http://www.kiki-health.com/innertalk/ as a means of changing the subtle chatter that goes on inside our heads. Yes! We all do it! The chitchat is more self-harming than anything I can think of. It leads to demonstrations of self harming. Yet nobody thinks to ask “How can I stop the negative chitchat”? and offers a credible alternative to counselling, hypnosis, neurolinguistics programming (NLP). These CDs and downloadable MP3s are the work of Dr Eldon Taylor, an expert in physical security, lie detection, hypnosis, and Intelligence and counterintelligence. His earliest work with subliminal information processing included a double-blind study conducted at the Utah State Prison in 1986-87 and is published in his book ‘Subliminal Communication’. So what happens – what do I have to do to change? It is so easy. You don’t actually sit down and listen. You just have the CDs or MP3s playing quietly in the background. You can watch TV, you can prepare food, sit at your desk, read a book. None of these actions will interfere with the subtle reprogramming of your most negative thoughts. And there are hundreds of CDs to choose from. (See *my thoughts below on where to start). To access the left brain, meaningfully spoken, forward masked permissive affirmations, such as “It’s okay to feel good,” delivered in a round robin manner, by a male voice, a female voice and a child’s voice are spoken so quietly under the music or nature sounds you can’t hear the words. On another channel, accessing the right brain, are directive messages, such as “I am good” recorded in the same voices in reverse. The analytical left hemisphere cannot argue with the permissive statement and the non-analytical right hemisphere simply accepts the authoritarian statement. 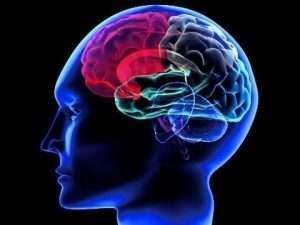 Since the hemispheres are task oriented, both the left and right brain become involved according to their specialties. *My thoughts – if something works and these do, just give it a try and manage your expectations. So if you have had low self esteem since as long as you can remember, it isn’t going to change negative imprints in a week. Give it at least a year, if not two. Go back to it if you find the chitchat starting up again. I recommend starting with one and only one, Soaring Self Esteem, especially if you have an autoimmune condition or a skin issue. it is probably the most important choice you will make and save you thousands in consultations! The next one is Freedom from Fears, another life changer. For more information and to purchase a CD or MP3 download, visit the web site here http://www.kiki-health.com/music-or-nature/ and start changing your thoughts then your life. Oh, and by the way, I have no vested interest in promoting these mind changing subliminal CDs. I just think everyone could do with one or two of them when going through stressful times. Which is the case right now! Is cinnamon the next tumeric? Flaxseed – is it a superfood?